Moonroof, Heated Leather Seats, Nav System, Aluminum Wheels, iPod/MP3 Input, Turbo Charged Engine, Satellite Radio, Premium Sound System, Back-Up Camera, EBONY/PIMENTO STITCH, WINDSOR LEATHER SEATING SURFACES, AUTO-DIMMING DOOR MIRRORS, FIXED PANORAMIC ROOF, KEYLESS ENTRY, CLIMATE PACK. P300 trim, Carpathian Grey exterior and Ebony/Pimento Stitch interior. SEE MORE! KEY FEATURES INCLUDE Navigation, Turbocharged, Onboard Communications System, Remote Engine Start, WiFi Hotspot, Smart Device Integration, Lane Keeping Assist Rear Spoiler, MP3 Player, Steering Wheel Controls, Heated Mirrors, Electronic Stability Control. OPTION PACKAGES CARPATHIAN GREY, CLIMATE PACK: Two-Zone Climate Control, Heated Steering Wheel, Heated Windshield, 12-WAY HEATED & COOLED ELECTRIC MEMORY FRONT SEATS, BLIND SPOT ASSIST, POWERED TAILGATE, AUTO HIGH BEAM ASSIST, GARAGE DOOR OPENER (HOMELINK), REAR TRAFFIC MONITOR. Jaguar P300 with Carpathian Grey exterior and Ebony/Pimento Stitch interior features a 4 Cylinder Engine with 296 HP at 5500 RPM*. 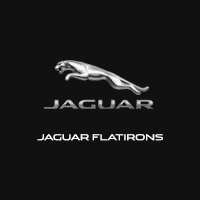 BUY FROM AN AWARD WINNING DEALER Land Rover Flatirons is different. We have assembled a team whose goal is to deliver the best ownership experience possible to everyone that chooses to own a Land Rover or Range Rover. Our pre-owned cars are reconditioned to a level unequalled in the market. Horsepower calculations based on trim engine configuration. Please confirm the accuracy of the included equipment by calling us prior to purchase. Navigation, Heated Leather Seats, EBONY/PIMENTO STITCH, WINDSOR LEATHER SEATING SURFACES, Aluminum Wheels, 12-WAY HEATED & COOLED ELECTRIC MEMORY FRONT SEATS, BASIC INTERIOR PROTECTION PACK, WHEEL PROTECTION PACK W/BLACK LOCKS, EBONY/PIMENTO STITCH, WINDSOR LEATHER. Remote Engine Start, WiFi Hotspot. Caldera Red exterior and Ebony/Pimento Stitch interior, P340 trim. READ MORE! KEY FEATURES INCLUDE Back-Up Camera, Supercharged, iPod/MP3 Input, Onboard Communications System, Remote Engine Start, WiFi Hotspot, Lane Keeping Assist, Smart Device Integration. Rear Spoiler, MP3 Player, Steering Wheel Controls, Electronic Stability Control, Heated Mirrors. OPTION PACKAGES WHEELS: 20 5 SPLIT-SPOKE STYLE 5039: Gloss black finish, Tires: 20, WINDSOR LEATHER INTERIOR PACK: Windsor Leather Seating Surfaces, Windsor Leather Wrapped Instrument Panel Topper, Windsor Leather Door Trim w/Contrast Stitching, Windsor Leather Console, PERFORMANCE FRONT SEATS, BLACK EXTERIOR PACK: Gloss Black Rollover Protection Bars, Gloss Black Rear Valance, Gloss Black Hood Louvers, Gloss Black Front Bumper Splitter, Gloss Black Front Grille Surround, satin black mesh, Gloss Black Side Power Vents, satin black mesh, RADIO: MERIDIAN 770W SURROUND SOUND SYSTEM, 12-WAY HEATED & COOLED ELECTRIC MEMORY FRONT SEATS, BLIND SPOT ASSIST, ILLUMINATED METAL TREADPLATES W/BRAND-NAME SCRIPT, KEYLESS ENTRY, WHEEL PROTECTION PACK W/BLACK LOCKS, GARAGE DOOR OPENER (HOMELINK), AUTO HIGH BEAM ASSIST, CONFIGURABLE AMBIENT INTERIOR LIGHTING, HEATED STEERING WHEEL OUR OFFERINGS Land Rover Flatirons is different. We have assembled a team whose goal is to deliver the best ownership experience possible to everyone that chooses to own a Land Rover or Range Rover. Our pre-owned cars are reconditioned to a level unequalled in the market. ADDITIONAL OPTION PACKAGES Engine Badge and Knurled Aluminum Center Console Horsepower calculations based on trim engine configuration. Please confirm the accuracy of the included equipment by calling us prior to purchase. Sunroof, NAV, Leather Seats, Back-Up Camera, Supercharged, All Wheel Drive, AIR QUALITY SENSOR, Alloy Wheels, Onboard Communications System, CLIMATE PACK, iPod/MP3 Input, Premium Sound System, Satellite Radio, KEYLESS ENTRY, POWERED TAILGATE, BLIND SPOT ASSIST, AUTO-DIMMING DOOR MIRRORS. Checkered Flag trim, Fuji White exterior and Ebony/Cirrus Stitch interior. CLICK NOW! KEY FEATURES INCLUDE Navigation, Aluminum Wheels, Remote Engine Start, WiFi Hotspot, Smart Device Integration, Lane Keeping Assist. Rear Spoiler, MP3 Player, Steering Wheel Controls, Heated Mirrors, Electronic Stability Control. OPTION PACKAGES FIXED PANORAMIC ROOF, CLIMATE PACK: Two-Zone Climate Control, Heated Windshield, CONFIGURABLE AMBIENT INTERIOR LIGHTING, AUTO HIGH BEAM ASSIST, GARAGE DOOR OPENER (HOMELINK), BASIC INTERIOR PROTECTION PACK, WHEEL PROTECTION PACK W/CHROME LOCKS, AUTO-DIMMING DOOR MIRRORS, EBONY/CIRRUS STITCH, WINDSOR LEATHER SEATING SURFACES, FUJI WHITE. Jaguar Checkered Flag with Fuji White exterior and Ebony/Cirrus Stitch interior features a V6 Cylinder Engine with 380 HP at 6500 RPM*. Horsepower calculations based on trim engine configuration. Please confirm the accuracy of the included equipment by calling us prior to purchase. COMING SOON! Nav System, Heated Leather Seats, 12-WAY HEATED & COOLED ELECTRIC MEMORY FRONT SEATS, IVORY/EBONY STITCH, WINDSOR LEATHER SEATING SURFACES, BASIC INTERIOR PROTECTION PACK, WHEEL PROTECTION PACK W/BLACK LOCKS, CAR CARE KIT, IVORY/EBONY STITCH, WINDSOR LEATHER S. iPod/MP3 Input, Remote Engine Start. Narvik Black exterior and Ivory/Ebony Stitch interior, R-Dynamic trim. READ MORE! KEY FEATURES INCLUDE Navigation, All Wheel Drive, Back-Up Camera, Supercharged, iPod/MP3 Input, Onboard Communications System, Aluminum Wheels, Remote Engine Start, Smart Device Integration, WiFi Hotspot, Lane Keeping Assist. Rear Spoiler, MP3 Player, Steering Wheel Controls, Heated Mirrors, Electronic Stability Control. OPTION PACKAGES EXTERIOR BLACK DESIGN PACK: Body Colored Side Sills, Body Colored Rear Bumper w/Venturi Blade, body-colored rear venturi blade, Gloss Black Rollover Protection Bars, Body Colored Front Bumper Splitter, Gloss Black Front Grille Surround, satin black mesh, Gloss Black Side Power Vents, satin black mesh, PERFORMANCE FRONT SEATS, WINDSOR LEATHER INTERIOR PACK: Windsor Leather Seating Surfaces, Windsor Leather Wrapped Instrument Panel Topper, Windsor Leather Door Trim w/Contrast Stitching, Windsor Leather Console, CLIMATE PACK: Two-Zone Climate Control, Heated Steering Wheel, Heated Windshield, RADIO: MERIDIAN 770W SURROUND SOUND SYSTEM, 12-WAY HEATED & COOLED ELECTRIC MEMORY FRONT SEATS, CONFIGURABLE DYNAMIC MODE, RED BRAKE CALIPERS, BLIND SPOT ASSIST, ILLUMINATED METAL TREADPLATES W/BRAND-NAME SCRIPT, KEYLESS ENTRY . VISIT US TODAY Land Rover Flatirons is different. We have assembled a team whose goal is to deliver the best ownership experience possible to everyone that chooses to own a Land Rover or Range Rover. Our pre-owned cars are reconditioned to a level unequalled in the market. Horsepower calculations based on trim engine configuration. Please confirm the accuracy of the included equipment by calling us prior to purchase.